If your company is naming a new product line, it probably would not be wise to use the "X" letter, as in XFL, X-Men and such X-marked products as Microsoft’s Windows XP system and Nissan’s Xterra model. In fact, last year companies filed 1,000 requests for X-marked trademarks with the U.S. Patent and Trademark Office, says Ternell Kearney at the trademark search firm CCH Corsearch. 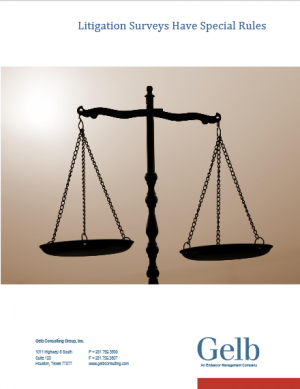 In this paper, Gabriel Gelb reviews the standards for surveys in litigation and what they mean for experienced researchers.